Given the plethora of social media platforms currently available, it’s important to pick the one that makes the most sense for you -- basically, don’t try to nurture a profile on every platform or you could be spinning your wheels for very little payoff. Remember that different audiences and ages prefer different mediums, so pay attention to demographics when deciding where to promote. In addition, some events lend themselves to certain platforms more than others. For example, a conference or webinar will have more success on LinkedIn, whereas a dinner party could be applicable to Facebook, and a live concert or event would be tailor made for Instagram or Snapchat. No matter which you choose, don’t forget to take advantage of the engagement metrics. On Facebook, you get lucky with immediate access to Insights. Track “likes” as well as post impressions and make note of the time of spikes. Twitter and Instagram can be monitored in real time by searching the event hashtag. This also allows you to hop into the conversation and answer questions or provide information if needed. Once the event is over, analyze the retweets, likes and mentions on Twitter and the likes and comments on Instagram. There are also free or low cost tools to track metrics on these outlets as well as Snapchat. Did you pack the house? Fantastic! A huge crowd is an obvious way to track popularity, but be sure to pay attention to the smaller details, too. If your event had specific start and end times, did the crowd heed them? Were certain parts of the day bigger traffic drivers than others? Paying attention to the most popular part of the gathering, whether it’s when food was served or when the entertainment was at its peak, is the best way to gauge how to lay out future events. Plus, folks have a hard time leaving a good party but this is less true if they feel uncomfortable with the amount of space. Make sure the venue size is appropriate for the attendance and always have a contingency plan in place for unexpected crowds. Monitoring physical attendance can be tricky, which is why we created Stub Avenue -- to make your life easier. 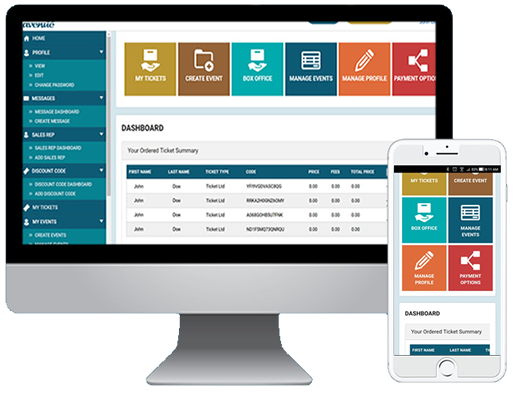 Our platform allows you to track how fast tickets were selling, which events had the hot tickets, and how many people checked in. Plus, by gathering guest information you can alert attendees about the next party, dinner or webinar with ease. It’s also always a great idea to send recent guests a survey, preferably providing a reward (perhaps a ticket to your next event?) to boost odds of participation. After all, who better to gauge the success of your event than the folks that enjoyed it? Obviously the more revenue the better, but don’t forget to compare this to your overall costs, not to mention your time and energy. Would you have had better attendance and more money in the long run by offering a lower price? One hundred tickets sold at $80 each equals more revenue than fifty tickets at $100 each, but the price has to accurately reflect the value of the event. This is another instance where a follow-up survey can provide invaluable research about the perceived quality of your gathering. Sure, you had a great turnout for this event, but the trick is making sure folks come back in the future. Did people see the value in the event? Find inexpensive value adds that entice additional attendance without affecting your costs, and don’t forget that people expect recurring events to be bigger and better next year. Increase your partnerships with other organizations in the community that would be interested in advertising with you, or reach out to applicable local startups looking for ways to get their products out to the masses. And finally, sponsors can make or break your event so be sure they received adequate representation before, during and after the big day. The best way to guarantee sponsor retention is by ensuring the brand of your event aligns with that of the sponsors -- people will notice a disjointed pairing, like soda company banners at a vegan health food festival. Once you have a sponsor lineup that makes sense, be sure to sell sponsors on what they’ll receive for their investment, and help them feel engaged and excited about the impact they’ll make on the community by being part of your event. Copyright@ Stub Avenue. All Rights Reserved.